We loved Bluecrop in our research garden thanks to its consistent yields, large, high-quality fruit and disease resistance. Each 4-6' bush bears up to 20 lbs of firm, large (sometimes extra-large), light blue fruit. How large? We measured about 65 blueberries per cup compared to the 120 per cup of other blueberry varieties. 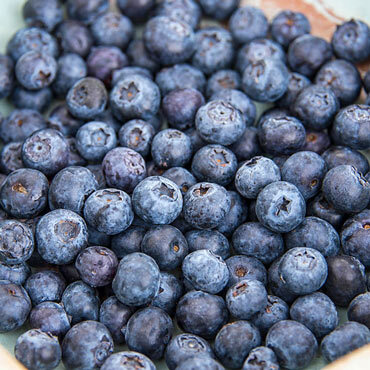 You can enjoy these delicious berries fresh by the handful or in fruit salads, berry tarts, smoothies and shakes, or for your favorite baked brunch dishes. In the fall, the leaves will turn a beautiful red color before dropping. Ripens in mid July. Zones 4-7. 12-18" bareroot. Foliage: Foliage turns red before dropping in the Fall. Form: Deciduous woody bareroot, upright.